Nestled between the Burke Gilman Trail and Lake Washington, this modern house by Johnston Architects is actually an extensive remodel occupying a tight waterfront lot. 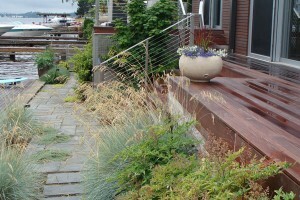 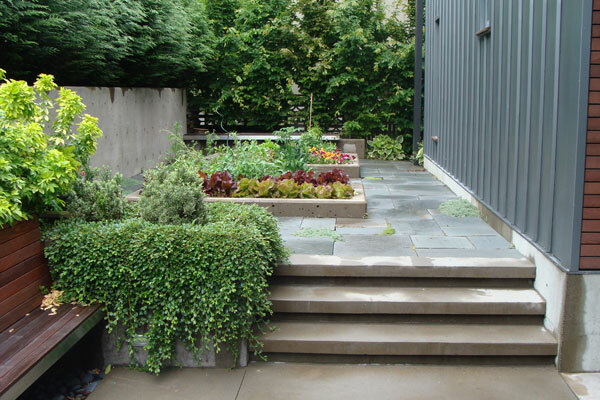 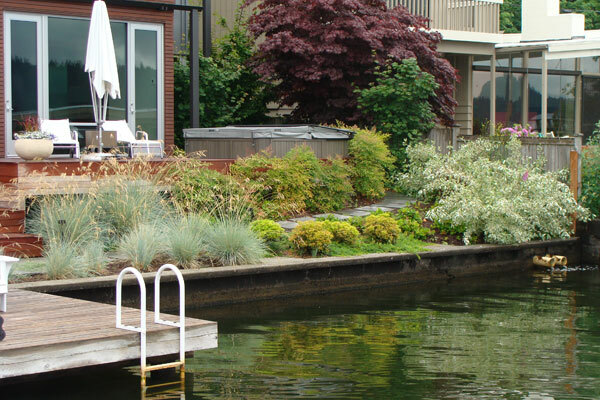 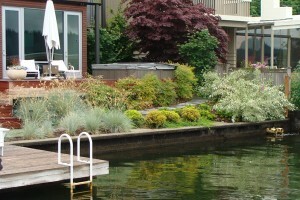 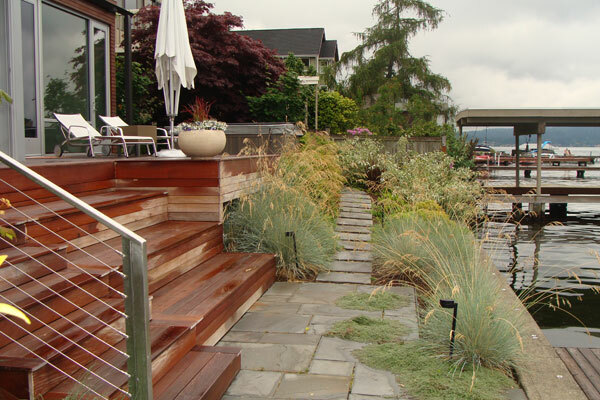 For Seattle Landscape Architect and Garden Designer Brooks Kolb, the design challenge was to make every square foot of the leftover landscape space private, usable and enjoyable. 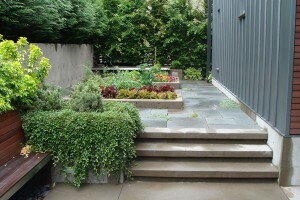 The small, paved front garden features a built-in Ipe bench and raised garden beds on a terrace of sand-set bluestone pavers with pockets of Woolly Thyme. 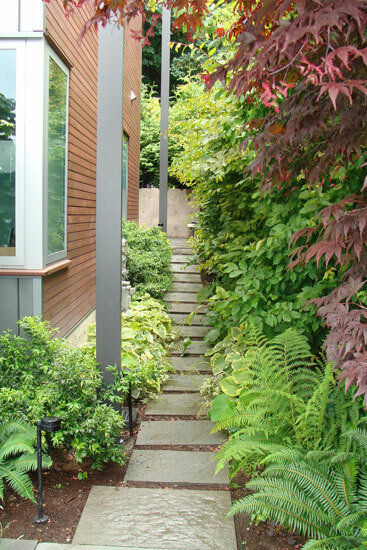 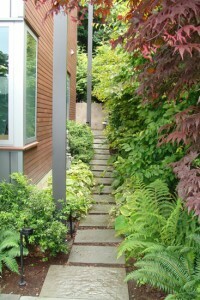 For privacy screening, a hedge of European Hornbeam was installed along the north property line and a denser hedge of Atrovirens’ Western Red Cedar was installed along the street. 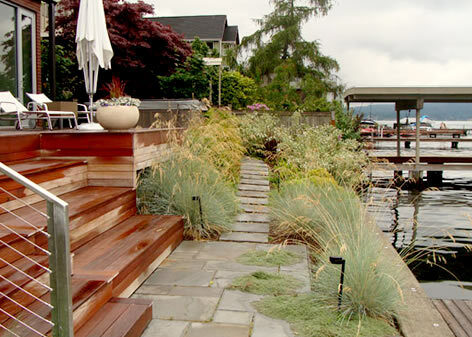 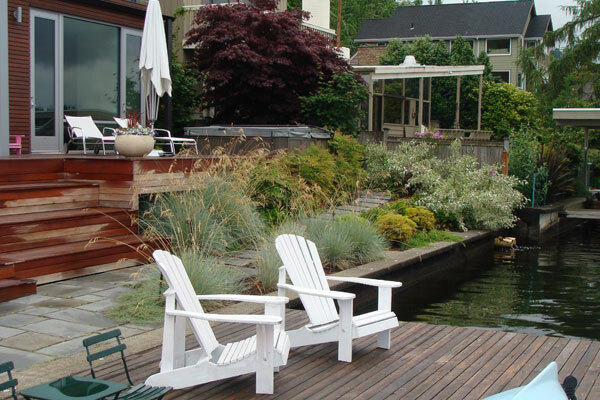 The waterfront-side garden is integrated around an Ipe deck, designed by Johnston Architects, that features both a hot tub and amphitheater-style bench seating adjoining steps down to a waterfront path. Brooks used Blue Oat Grass to evoke the feeling of a wider beach. 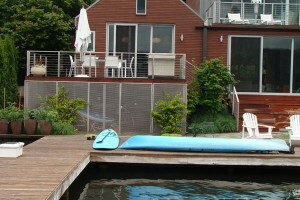 The house was published in the August, 2009 issue of Sunset Magazine.